South Whidbey Parks and Recreation proudly announces that registration has opened for the 19th Annual Whidbey Island Triathlon, set for Saturday, August 1, 2015. 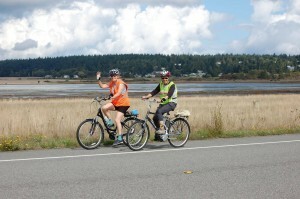 The Whidbey Triathlon, staged in the heart of breathtaking Whidbey Island, attracts all abilities and is open to individual participants as well as relay teams. It is popular in the Northwest as a first-time event for novice and rookie triathletes, yet still challenging for competitive athletes. Beloved by locals and visitors alike for its beautiful course and friendly and supportive volunteers, the triathlon provides chip timing by BuDu Racing and is open to the first 300 bikers. The event has limited space and fills to capacity, so register early! The scenic course that sets the stage for the annual Whidbey Island Triathlon endurance event starts off with a half mile swim in Goss Lake on beautiful Whidbey Island, followed by a 19.5 mile bike course along the scenic island roads offering views of Saratoga Passage and the North Cascades. This popular annual physical challenge culminates with a 3.8 mile run through serene forest trails at Community Park. 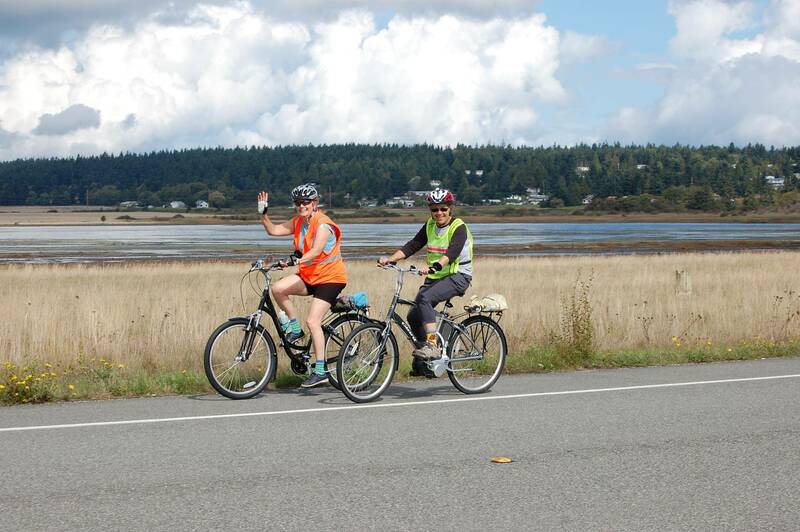 The Whidbey Island Triathlon is seeking helpers in all areas, from the triathlon planning committee (meeting April 8th), to trail marshals, to clean-up crew. Over the course of the event, we will fill over 100 volunteer positions. Approximately 300 athletes will be looking to volunteers for encouragement, assistance and support. Volunteers are the HEART of this event, and we couldn’t do it without them. Join in for a fun and rewarding experience and be a part of a local event you can be proud of. Please encourage your friends, family or club to volunteer with you. For triathlon information and registration visit: www.whidbeytriathlon.org. To volunteer and support a healthy community, contact: programs@whidbey.com or call (360)221-6788.